Great experience. Very personable and professional staff, they make you feel like family. My boyfriend has been comingto Dr. Atlas since he was a child, so we just trust and know that Dr. Atlas will take great care of us. Great experience. Very personable and professional staff, they make you feel like family. My boyfriend has been coming to Dr. Atlas since he was a child, so we just trust andknow that Dr. Atlas will take great care of us. I was nervous about going to the eye doctor...weird, I know. Starting with his office staff, I was immediately put toease. They were knowledgeable, fun, and efficient. Dr. Atlas was an absolute pleasure. He has an excellent "bedside manner" and really seemed to want to get to know all about me and why I was there. I felt that the exam was thorough (although I have nothing to base it on - lol), and my time was truly valued. All in all, I highly recommend this office for your eye care needs. I was nervous about going to the eye doctor...weird, I know. Starting with his office staff, I was immediately put to ease. They were knowledgeable, fun, and efficient. Dr. Atlas wasan absolute pleasure. He has an excellent "bedside manner" and really seemed to want to get to know all about me and why I was there. I felt that the exam was thorough (although I have nothing to base it on - lol), and my time was truly valued. All in all, I highly recommend this office for your eye care needs. 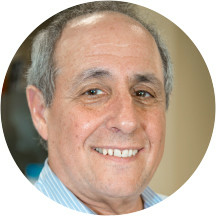 Dr. Steve Atlas is a Board Certified Optometric Physician who graduated from the University of Maryland in 1974 with a Bachelor of Science degree. Following graduation, Dr. Atlas attended Pennsylvania College of Optometry where he carried on research in Visual Rehabilitation and took a special interest in the field of Contact Lenses. He graduated in 1978 as a Doctor of Optometry. In 1977 Dr. Atlas interned in South Florida and decided to practice here. He first began practicing in Miami from 1978 through 1984. He then set up his Optometry practice in Plantation, where today he continues to specialize in Contact Lenses, Laser Vision Correction, Comprehensive Eye Examinations, Children’s Vision, Cataract evaluations and treatment of Ocular Diseases. Dr. Atlas is a member of the American Optometric Association, Florida Optometric Association and the Broward County Optometric Association. When not in the office, Dr. Atlas is playing golf and traveling. Awesome experience! Will be my primary optometrist! Very nice doctor, soft spoken. Was not happy with the push to get eyeglasses that did not serve me. I complained and expressed my dissatisfaction but still, the office would not reimburse me for their fast-talking sales rep that sold me unnecessary eyeglass options and apair of glasses that were way over my insurance limits. Very competent staff, the doctor has a terrific way of putting someone at ease and offering valuable information. I thought he was very personable and highly professional. I appreciate that he took the time to explain everything to me. Dr Atlas is a very nice Dr. He's very knowledgeable. And very thorough. Steve Atlas is very knowledgeable. He takes his time, is very patient and answers all questions. He leaves no room for improvement. I highly recommend his office. Always a pleasure having my eyes checked by Steve Atlas. He is very professional and friendly. Uses all the latest technologies and keeps everything clean. His staff is also welcoming and professional while helping choose new frames and making sure they are adjusted properly for a comfortable fit. Short wait time, service was impeccable and Dr Atlas is so so friendly and funny! Highly recommend!!! Great experience. Very personable and knowledgeable. The front desk staff was friendly and helpful! Dr. Atlas and his staff are a pleasure to meet. His experience and knowledge in this field is evident from the moment he starts to conduct his exam. He’s considerate, he listens, he expresses compassion, and made me feel like hegenuinely cares about my overall well-being. His staff is also very friendly, helpful, and approachable. No up-selling or pushy tactics here. I was immediately acknowledged, greeted and assisted as soon as I walked in. Very individualized attention. I was in and out of my appointment in an hour, even as a first-time patient. If you’re looking for a new eye doc, he’s the one. Dr. Atlas is a wonderful doctor. He is very patient and kind. He takes his time when examining your eyes to ensure your prescription is correct. I highly recommend him. Super nice staff. Dr. Atlas was very approachable and took time to explain everything. Looks like I found a new home for my baby blues ?? I've been his patient for about 5 years if that says anything! Was seen by Dr. Haley Newstrom who was excellent. I left a around 10:20 am and my pupils are still dilated. Hope it goes away soon. Dr. Adler is wonderful but I was completely misinformed about the cost of my contact lenses. I was told a 180 day supply would cost X but when I received my order I had a 90 day because the cost wasfor two boxes, not two orders - so literally double the cost as to what I was told. And we spoke at great length about this. Though I liked Dr. Adler, I will never return here. I went with my husband, we really liked the professionalism of the assistants and Doctor. I always enjoy visiting Dr. Atlas. His highly knowledgeable and has a wonderful, comforting "bedside manner." He is truly an amazing doctor who also really cares about his patients on a personal level. The office staff was super friendly , efficient and very professional. Dr Atlas takes his time during your appointments. When it comes to your eyes you need to go to the best and that is Dr Atlas. I've been a patient of Dr. Atlas for over 10 years. He's the absolute best. Today I saw Dr. Haley Newstrom for the first time and I highly recommend her as well. Furthermore, when seeing any physician most people know likingyour physician is not the only fact when choosing a doctor; you must also like the office staff. That being said, the office staff at Atlas Eye Center is beyond amazing. Stacy in particular is a pro at navigating insurance, finding the right frames and overall customer service. Understanding insurance benefits can be very confusing. Stacy will patiently show all options to ensure you are receiving the most from your healthcare benefits. I highly recommend Atlas Eye Center!! I felt incredibly pressured the whole time and am fighting back tears because of the experience. Now I am stuck with a pair of glasses that do not fit well and look horribly on me because I was backed into acorner to buy a pair of expensive designer glasses that are only 40% of the price online. They also kept trying to convince me to switch to contacts, which according to the insurance plan would mean higher payouts for them. I also had to wait over a half hour even though there were no other patients and I had arrived a few minutes ahead of my appointment. I am all for supporting local businesses and paying a little extra, but not if I am to be treated like this again. Dr. Atlas is very professional, very friendly, very patient and I would have no hesitation in recommending him. I just can't think of one bad thing to say about my visit. Everyone seemed knowledgeable and personable - keep in my visit was also one of his staffer's first day on the job and she was already amazing. Dr. Atlas is very professional and friendly. The whole staff was very friendly. I arruved ten minutes early. I was told the doctor would see me soon. After 40 minutes, the doctor hadn’t bothered to show up to the office. I was told he was stuck in traffic but my friend, who drove fromMiami to Fort Lauderdale, arrived to meet me without “traffic”. Surely a doctor who had a patient scheduled would plan ahead and arrive within reason. I managed to. Very frustrating and disappointing in a professional. Visit was good; Dr Atlas was very nice, took his time with the exam. What I did not like is that performed a procedure not covered by my insurance and did not inform me upfront. Dr. and staff are always pleasant and personable. Love this doctor. He makes you feel more like family than a patient. Will be coming back and referring everyone i know.